Cool idea, will no doubt be much more reliable than the ageing "wires under the ground" infrastructure we rely on now. But 12,000 satellites?! How many objects can we feasibly have rotating the earth and still make space travel safe? Give it a couple of decades and it'll be like running the gauntlet trying to get out of the atmosphere. It seems a lot but if you consider that if they spread out around the equator that would still only be one satelite every 3 km. Once they are spread out across the earths surface, and in orbit, it won't be so bad. That 3km window will look very small when you account for how quickly they'll be moving, though! Don't forget they can all be positioned at different heights as well. I think the quote from Elon was that the ground stations would 'eventually' hit low-triple-digit costs. The ground stations are, by necessity, actively scanned phased arrays: high slew rates needed due to high satellite relative velocities, requires fast-switch between satellites due to short over-the-horizon times, requires variable doppler compensation due to the constellation occupying multiple orbits, phases and inclinations, and requires tight beams to comply with spectrum limitations (avoiding interference with other satellites, particularly those in GSO). Those are NOT cheap, and I'd expect first-gen ground stations to be well north of $1k, if not over $10k. And that's for a stationary (put it on a roof) ground station: for moving objects like aircraft, trains, boats, etc expect that to increase due to the need to actively track the location and orientation of the ground station and compensate for pose change. As we've seen with GSM and WiFi advanced high-bandwidth radios CAN be made at commodity cots, but it requires extremely high volumes to do so. Even the comparatively simple Iridium transcievers that are omnidirectional and low bitrate aren't that cheap (a basic 9602 SBd module, no antenna, case or interface hardware, is ~$300). The satellites themselves are an interesting design. An open box-and-tube truss, with antennae and folding arrays (and super-beefy arrays too, not the lightweight wafers that are popular now) bolted on to hardpoints (with hardpoints for an extra 2 antennae per satellite), along with some HETs for orbit circularisation (the red cylindrical objects), the inter-satellite laser links sitting just visible within the truss (the gimball mounts visible in the right hand satellite), and all the electronic 'guts' in what looks like a regular galvanised steel project box sitting within the truss. 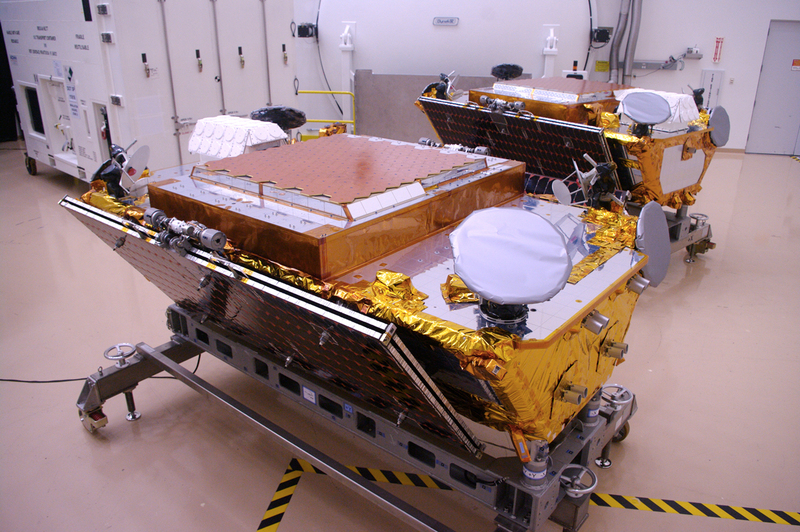 In contrast, look at the Iridium NEXT satellites: same 'wedge' form-factor (for packing multiple onto a cylindrical deployment bus), very similar size, but the 'wedge' body is fully insulated with almost every component enclosed, and using much thinner solar arrays. 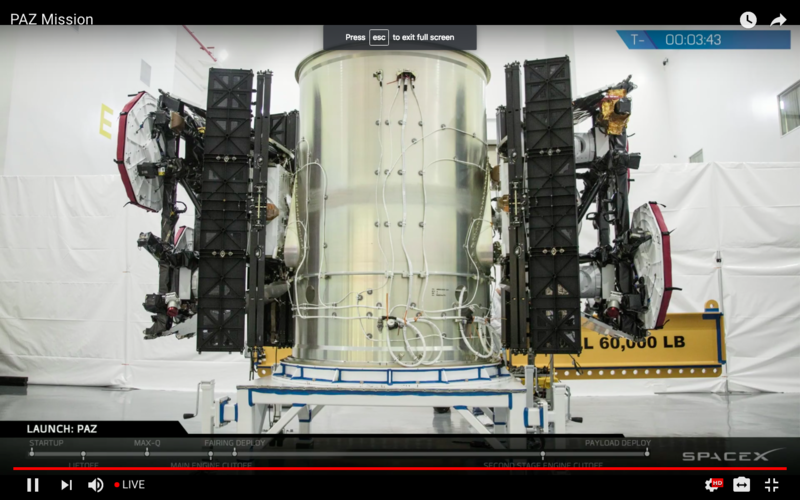 Just a quick interruption to the Starlink discussion, so that I can brag about my vantage point for the launch. I understood a few of those words. Sometimes, I feel a bit left behind.